The monarchy’s motivations are not primarily sectarian. Under its new king, Salman, Saudi Arabia is fighting four major struggles to reshape the Middle East. The common denominator is a quest for neighbors that will not challenge the Saudi monarchy or make alternative claims on religious and temporal authority, especially on a populist basis. The Saudi government is more pragmatic than usually recognized, and it can abide left-of-center nationalist regimes as long as they do not denounce Riyadh. But political Islam scares the geriatric royal family to no end if it is not under their control. The Saudi intervention in Yemen, and its organization of key members of the Arab League into a coalition to support that military move, is unusually adventurous for the royal family, which likes to work behind the scenes and more subtly. The muscular character of the intervention is a sign of how frightened Riyadh is of the instability in Yemen. 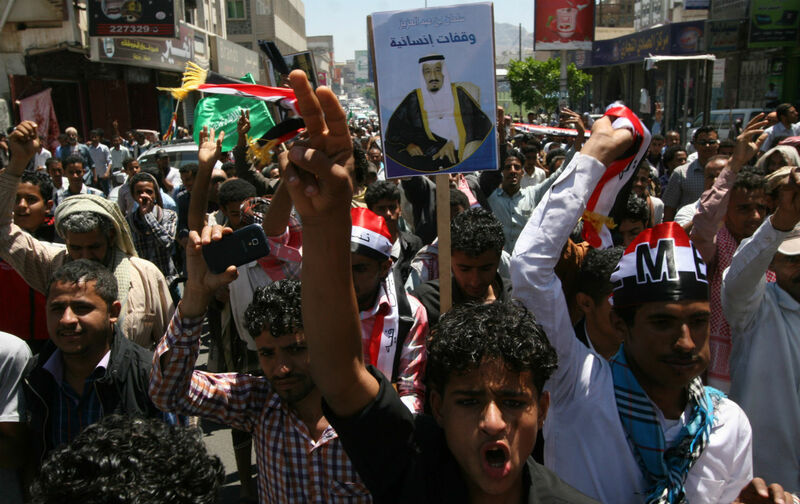 There, the tribal Houthi movement of Zaydi Shiites has allied with military units loyal to deposed president Ali Abdullah Saleh to topple the government of Saleh’s successor, Abdu Rabbu Mansour Hadi. Another worry for King Salman, as for the United States, is that the Houthis’ attempt to rule all of Yemen despite being from a minority community (Zaydis are about a third of Yemen’s population) will create a power vacuum in the Sunni south of the country. There, Al Qaeda in the Arabian Peninsula (AQAP) has long been active, with between 400 and 2,000 fighters. In 2011–12, AQAP attempted to take territory in Abyan province, but was defeated by the Yemeni army. The real day-to-day ruler of Saudi Arabia may be the second deputy prime minister, Prince Mohammed bin Nayef. Son of a long-serving minister of intelligence, Prince Mohammed was targeted by an AQAP suicide bomber in 2009. The Saudis not only want to force the Houthis into political negotiations and restore national consensus; they want to make sure that AQAP, a threat to the royal family, is defeated. The Houthi takeover of much of the country has impelled the United States to pull out its remaining Special Forces personnel and to mothball for now the drone program it was running against the AQAP leadership. The Saudi royal family could not have been pleased. The aged billionaires of the Saud dynasty have been buffeted by potentially destabilizing gales since 2011. They depended on the relatively secular-minded, nationalist Egyptian officer corps for their security, to some extent (Pakistan and the United States also offered the kingdom security umbrellas). The overthrow of Hosni Mubarak and the rise to power in Egypt of the populist Muslim Brotherhood posed an existential crisis for the kingdom. The Muslim Brotherhood was seen by the Saudi royal family as rooted in the people and as disrespectful of the religious charisma of the king in Riyadh. Saudi Arabia thus colluded with the Egyptian officer corps in the July 2013 coup against then-President Mohamed Morsi. The Saudis have long memories. They remember that in 1815 Egypt invaded Arabia on behalf of the Ottoman sultan to crush the Wahhabis. They were worried that the Muslim Brotherhood, if it were able to consolidate its control in Egypt, could carry out or encourage similar attempts to undermine their power in the Arabian Peninsula. In Syria, the Saudis backed the more fundamentalist factions of the Free Syrian Army, called Salafis, which have now organized themselves as the Islamic Front. The Islamic Front has not done very well in the fighting, though it controls some territory near the northern city of Aleppo. The Islamic Front differs from other Syrian rebel groups such as the Al Qaeda affiliate known as the Support Front (Jabhat al-Nusra) and Daesh (ISIS or ISIL) not ideologically but simply because Nusra and Daesh are not loyal to King Salman. The Saudis fear the latter two and the Syrian Muslim Brotherhood, and still hope their Islamic Front clients will prosper and turn Syria into a Salafi paradise that is firmly subordinate to the Saud dynasty. Riyadh also fears victory by the Damascus government of Bashar al-Assad, which is disproportionately drawn from Alawi Shiites and which is allied with Shiite Iran and with Lebanon’s Hezbollah. In Bahrain, the Saudis sent in some 1,000 troops to support the Sunni monarchy of the al-Khalifa in the face of protests by the island’s Shiite majority against their marginalization. Riyadh then prevailed on the United Arab Emirates to match that military commitment. That the masses demonstrating in the streets were Shiite no doubt annoyed the Saudis, but that they were a popular crowd drawn from the people, with no loyalty to Sunni monarchs, is what really frightened them. The Houthis, Al Qaeda in the Arabian Peninsula, the Alawite Baathists, the Egyptian Muslim Brotherhood and the Shiite Wifaq Party in Bahrain have all felt the Saudi lash. Yet they bear little resemblance to one another ideologically or theologically. Two of them, the Brotherhood and AQAP, are strongly Sunni, though the Brotherhood is nowadays largely nonviolent. The Alawites are gnostics who are not usually recognized as Muslims, even by other sects of Shiism. The Zaydi Shiites of Yemen had been known for being close to the Sunnis and having good relations with them. The Bahrain Shiites belong to the conservative Akhbari school and hold that lay people can interpret religious texts for themselves—many have only pastors, rather than ayatollahs. What four of the five have in common is that they are populist movements of political Islam that challenge the status quo and challenge the Saudi monarchy and its claims of religious charisma deriving from support for Wahhabism and its rule over the holy cities of Mecca and Medina. In the case of Syria, the Alawites are the establishment, not rebels. But by allying with Iran, the Syrian Alawites have become associated in the eyes of some powerful Wahhabis with populist Shiite challenges to the regional status quo. Saudi Arabia appears to have had its way in Egypt, where the officer corps is resurgent and the Muslim Brotherhood has been crushed, along with the progressive youth of the Tahrir movement. Likewise, the protest movement of the marginalized Shiite majority of Bahrain has been dealt with brutally by the Sunni monarchy, with Saudi help. But in Syria, the Saudi-backed faction has had no real success. And Yemen, rugged and inhospitable to outsiders, poses the greatest challenge of all. When the nationalist Egypt of Gamal Abdel Nasser intervened in another Yemeni civil war, in the 1960s, it became a quagmire for him and tied down his best troops, leading in part to his humiliating defeat in the 1967 war with Israel. If Afghanistan is the graveyard of empires, Yemen is the booby trap for foreign incursions. Will the geriatric billionaires of the Saudi royal family be able to avoid Nasser’s fate?